“This is what happened to my mother: as a student, she kidnapped by Muslims who forced her to accept Islam and compelled her to my father. 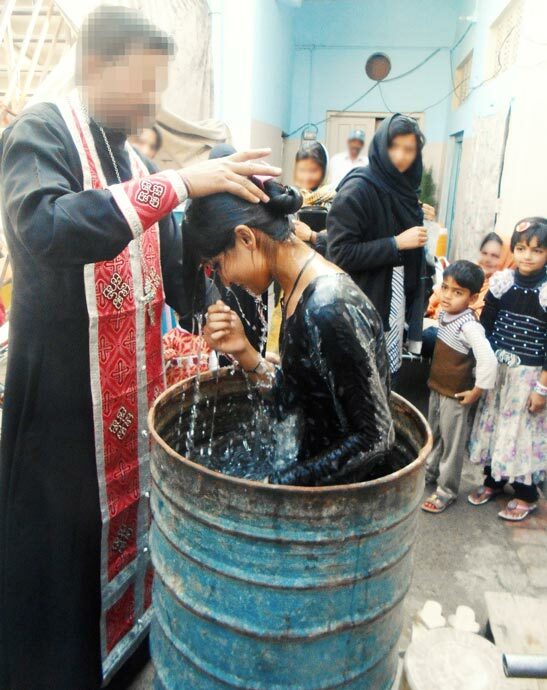 It is a very common practice in my province to forcefully convert Hindu and Christian girls to Islam. My mother admitted my father as her husband and started living a normal life with him. They had four children—there are two younger brothers and a sister. I am the eldest. “However, my mother secretly went to church and I often went with her. She read the Bible in the home; it was clear that she didn’t embrace Islam; in her heart she was still a Christian. I also started reading the Bible and going to church regularly with my mother. Once I was in church and people were standing in line for taking Holy Communion; I joined the line, but someone told me I was not allowed to take Communion because I was not a Christian. That incident made me cry. I told my mother that I wanted to get Holy Communion—that the Lord Jesus Christ was also my savior. But somehow my father came to know about this and he forbade us to go to church; for a year we did not go. Then my father died. My grandparents forced my mother to marry a cousin of my father’s, which is also common practice, as Muslims say women need the protection of men. My mom resisted, but there was no way out and she married him. I was 14 at the time. “This man was also very strict, but I started reading the Bible on daily basis in at home; though my stepfather often tried to stop me, my mother supported me. When I had finished reading the whole Bible, I told my mother that I wanted to become Christian. My mother was very worried that my grandparents or other relatives might kill us. “Then, came a summer vacation and we went to another province to visit my aunt, my mother’s sister; we went to church with her and, again, I met with a priest and told him of my wish to embrace Christianity. He was very nice and gave me some books for study. We spent three months at my aunt’s house, going to church every day. And, one Sunday, after Mass, the priest asked me: ‘child, are you ready for baptism?’ I was very happy and said yes. Finally, in 2013, my two brothers, my sister and I all received the Sacrament of Baptism. It was easier in that church as we were far from home. “When we returned to our hometown, my stepfather somehow found out that we had converted and he offered my mom a divorce, which she accepted with an eager heart. My mother got a job and rented an apartment; everything was going fine, we attended church and my spiritual director contacted the priest who had baptized me so I was cleared to receive Holy Communion; everything was perfect! 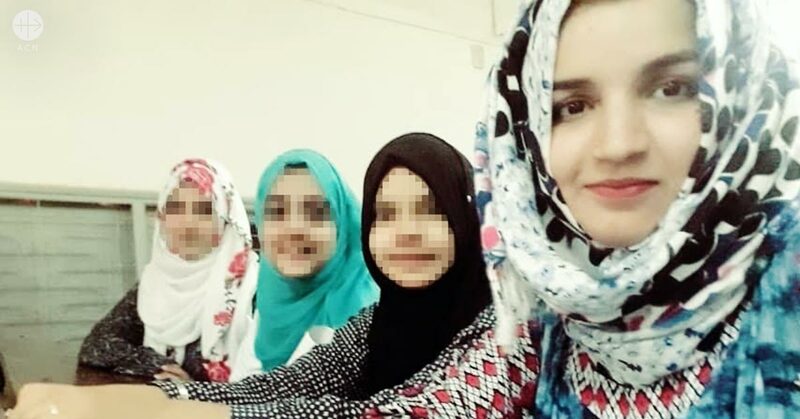 “Then, one evening in 2016, my ex-stepfather and his relatives stormed into our home; he told my mother they came to take me, that they wouldn’t let me marry a Christian boy, and instead they wanted me to marry a 54-year-old Muslim man—I was just 18. My mother put up a fight, called our priest as well as the police; when police came they left us. “Yet, our problems aren’t over yet. In October of 2017, my Muslim relatives shot one of my brothers; the bullet wounded his lungs and ribs and he is still in the hospital, struggling for life. My family is facing threats to our lives and I don’t know what is going to happen with us in future—but our hope is in our Lord Jesus Christ.